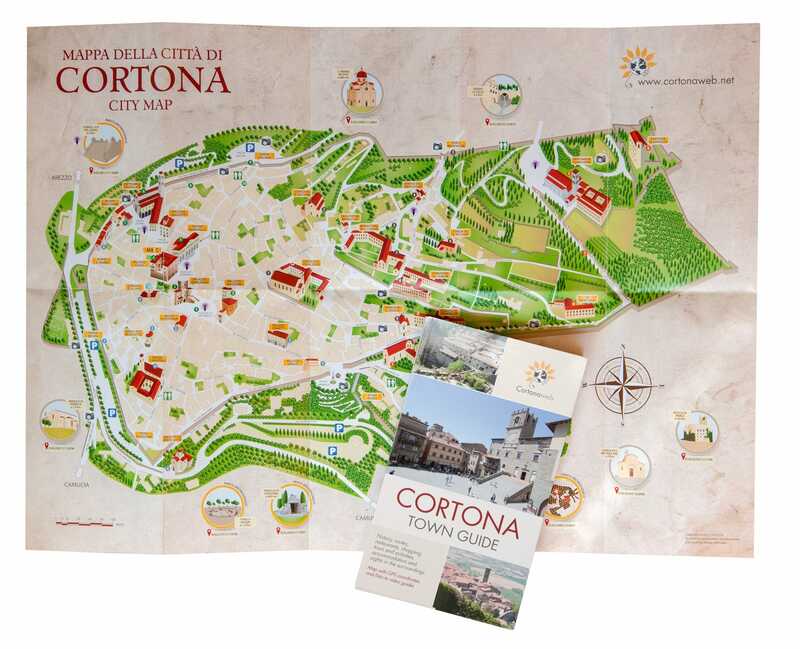 The archaeological park of Cortona includes significant monuments of the Etruscan and Roman times that are located both in the old town and in the neighboring areas: several Roman cisterns and the imposing Etruscan city walls are clearly visible all around the old town of Cortona. 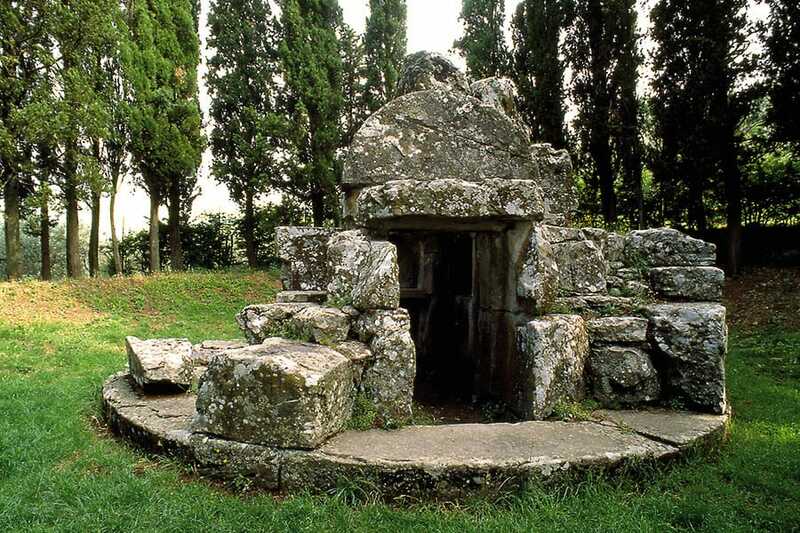 At the hill foot there are several impressive burial buildings dating back to the Etruscan times, known as Meloni and Tanelle, whereas many Roman roads are visible on the mountains. The park is completed by a Roman Villa in Ossaia, which is still under archaeological investigation. 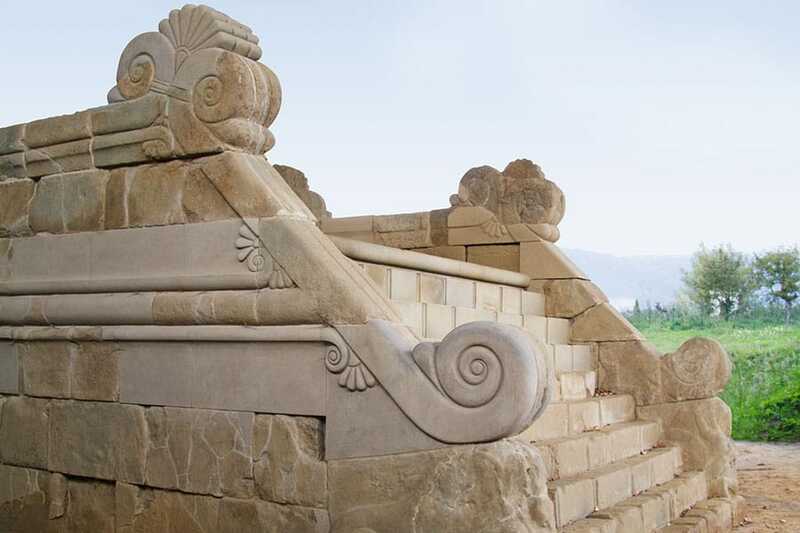 Therefore, the archaeological park is a quite articulated system whose development is still in progress and only some parts are already easily accessible and open to visitors. It is located in the area named Sodo, along Road 71 in the direction to Arezzo, at the Cortona hill foot about 2 km away from Camucia. Here there are two of the three Etruscan burial mounds that are still preserved, the so-called Tumulo I and Tumulo II of Sodo: the current arrangement of the structures clearly shows the shape of these monuments, i.e. a little artificial hill locally called “Melone” because it resembles a ripe melon emerging from the earth. These type of burials were owned by the so-called principes of the 6th century B.C., who belonged to the most important families of the local Etruscan aristocracy. 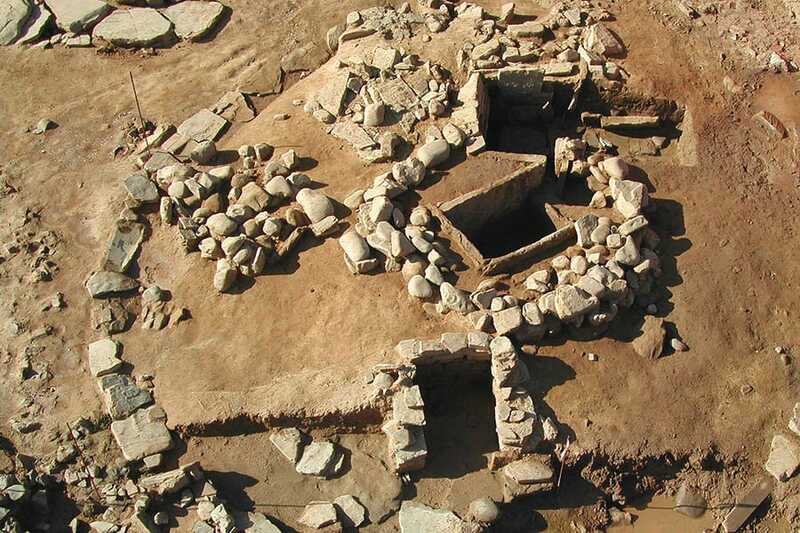 The monumental structures were built on a large circular base made up of big stones over which the burial chamber was located; this appeared like a real apartment, so it had walls delimiting the burial chambers, which overlooked central corridors, and a roof. At the end of construction, the structure was entirely covered with earth, creating a typical hill shape, in order to be a clearly visible and recognizable status symbol of the family to which it belonged. The Tumulo I of Sodo dates back to the early 6th century B.C., around 580-560, and was discovered in 1909. The tomb is accessed through an uncovered corridor or dromos leading to the entrance lintel door of five burial chambers, one of which is located at the bottom in the center and the others are located on the sides of a central corridor. On the lintel of a connecting door between the two chambers on the left-hand side we can read an inscription mentioning the owner ARNT MEFANATES who reused the tomb around the 4th century B.C. for himself and his wife VELIA HAPISNEI. Only a few pieces of the marvelous grave goods that accompanied the Etruscan deceased in their last dwelling were saved from thefts and are now displayed in the MAEC Museum. The other Tumulo (or Melone) of Sodo is a magnificent burial mound dating back to 580-560 B.C. having a diameter of about 60 m. Its structure consists of two tombs and an impressive and scenographic front sandstone staircase. This front structure, interpreted as a platform-altar, is a staircase with ten steps, adorned with a side sculpted balustrade and a large platform on top, where a wooden altar was probably placed. The balustrade is embellished with a rich and refined decoration of monumental palm trees and at the bottom of the staircase there are two stunning copies of a group sculpture, one on each side, representing the fight between a lioness and a warrior (the original statues are on display in the MAEC museum). On the other side of the Tumulo as opposed to the staircase we find two burial chambers. Tomb 1, similar to the tomb inside Tumulo I, was built at the same time of the burial mound, therefore it dates back to 580-560 B.C. 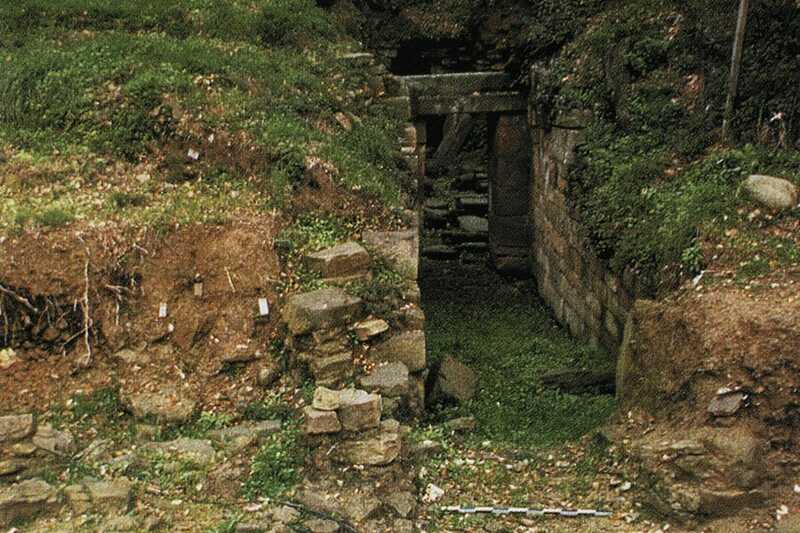 It is characterised by a long access corridor leading to two consecutive rectangular vestibules, through which one could enter six side burial chambers (three on each side) and the main chamber at the bottom. The pseudo-vaulted closing of the burial chambers is clearly visible here as big cantilevered stone slabs are progressively placed nearer and nearer to be finally blocked by another vertical slab. The remaining objects of the grave goods are preserved in the MAEC Museum. 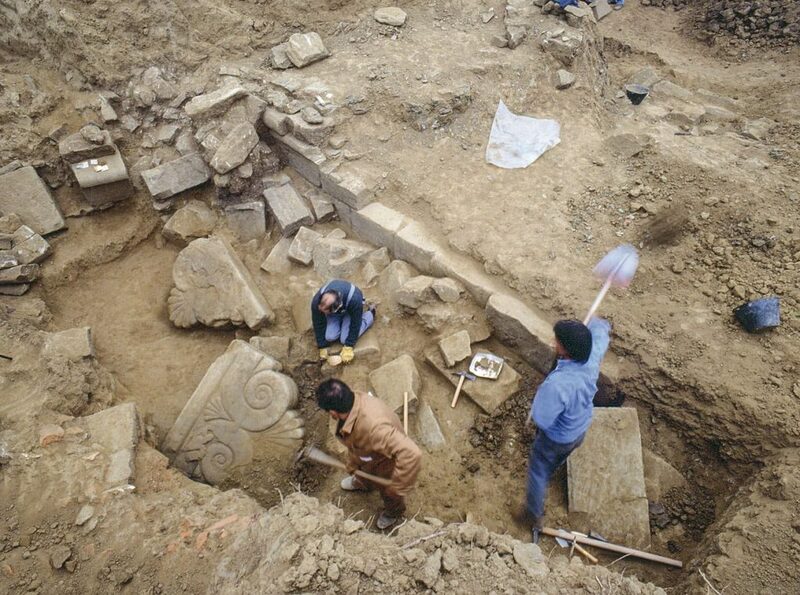 In 1991 a second tomb (Tomb 2) was found and explored. 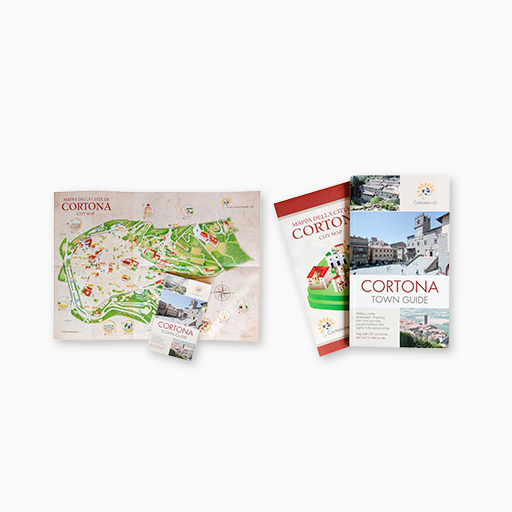 It dates back to around 480 B.C., therefore it was built about a century after the first tomb and the burial mound to which is belongs; it has a completely different architectural structure from the others that have been discovered so far in Cortona area and it consists of two simple consecutive burial chambers. Here the archaeologists found stone sarcophagi and funerary urns in addition to a hundred pieces of extremely refined gold smithing: various necklaces, pendants, earrings and rings. On the right-hand side of Tumulo II part of the orientalizing necropolis (i.e. 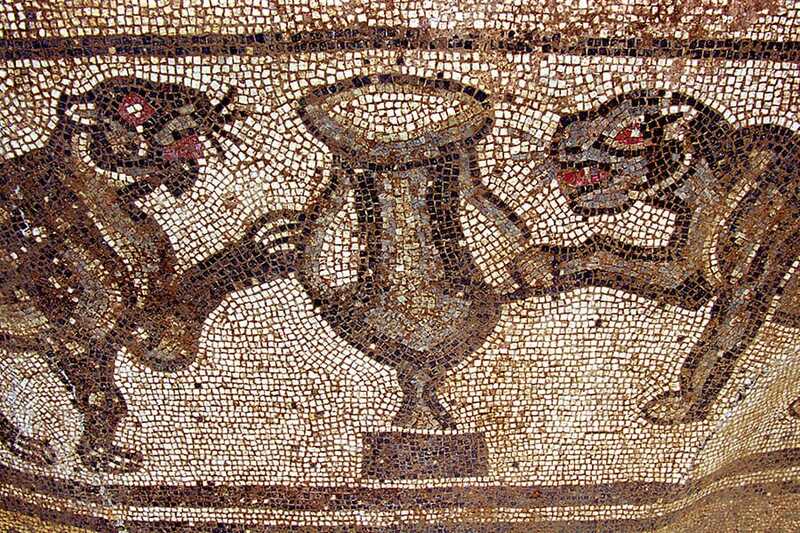 dating back to the 7th-6th century B.C.) was unexpectedly brought to light in 2005 after long unsuccessful research. During the digging works to move the Rio Loreto riverbed, aimed at solving problems related to water supply to Tumulo II and facilitating access to the archaeological park of Sodo, two circular tombs for cremation burial included in a wider archaeological context and the foundations of a huge building were found about 200 m. further West. These two groups of tombs are delimited by circles of sandstone slabs on a stone foundation of slabs placed sideways and reinforced by river pebbles. The tombs that have been found, mostly “coffer” and trench tombs, were still intact for the most part and preserved on site their grave goods; these extraordinary objects, mostly pottery, retrieved during the excavation works have been restored and are currently on display within the new halls of the MAEC museum. The whole area can be visited on specific opening hours that can be found out with the MAEC Museum. 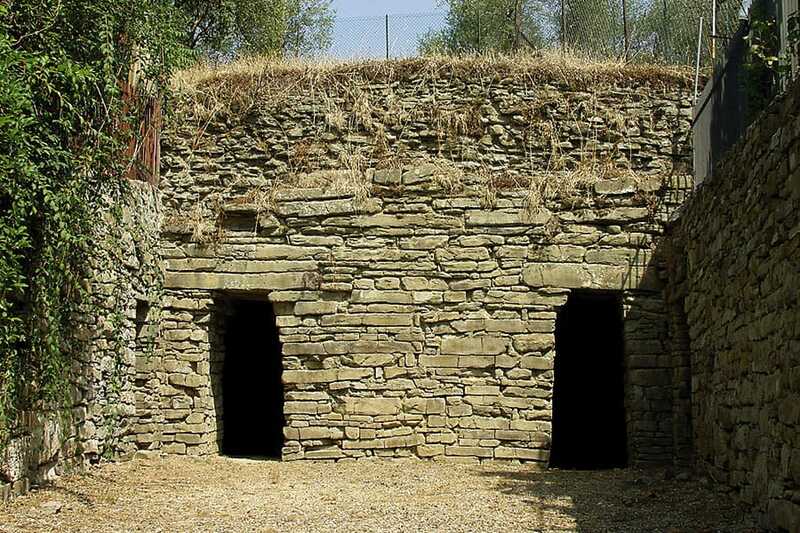 One of the three monumental Etruscan burial mounds of the orientalizing period, probably the most ancient, is located in Camucia; it was named after the archaeologist who discovered it, Alessandro François. This burial mound consists of two tombs. 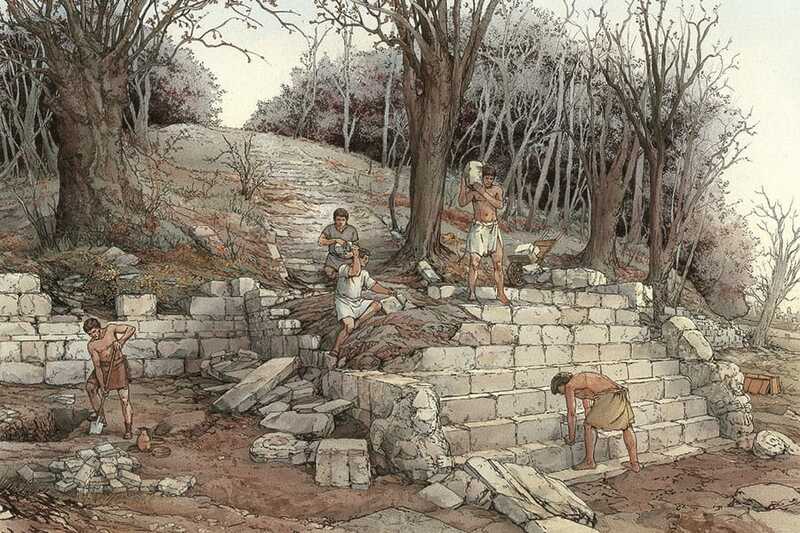 The first one, discovered in 1840, recalls the typical Etruscan house with the atrium, the tablinum divided in two parts and the alae, represented by symmetrical side cellars, whose layout let the archaeologists think that it was the tomb of two brothers. The second one, discovered in 1964, spreads around a corridor onto which the doors of side cellars open: the general plan scheme seems to be more sophisticated than the other tomb and anticipates the plans of the tombs of Melone II of Sodo. The Tanelle, Hellenistic tombs dating back to the late 3rd-2nd century B. C., are less imposing but still architecturally remarkable. The better preserved one is the so-called Tanella of Pythagoras, which is named after the common misunderstanding in the past between the names of Cortona and Crotone, a town of the Magna Grecia where philosopher Pythagoras lived. G. Vasari reported the first news about its discovery in 1566. A rectangular burial chamber is placed on a circular base surrounded by a cylindric tambour made of big sandstone blocks; on the chamber walls we find some burial recesses used to keep funerary urns, three in the right-hand wall, one in the left-hand wall and two in the wall at the bottom. To complete the framework of human settlements in the ancient territory of Cortona, mention should be made of the Roman villa of Ossaia, a majestic rustic villa of the Late-Republican-Imperial Age inhabited from the second half of the 1st century to the 5th century A.D.
Digging works brought to light beautiful black and white and polychrome mosaics (some of these finds are displayed in the MAEC Museum), part of the structures and many objects. This area is still under excavation, therefore it is only open to visitors for short periods of time and only upon request.